Please click a Load Movement product below to learn more about it. 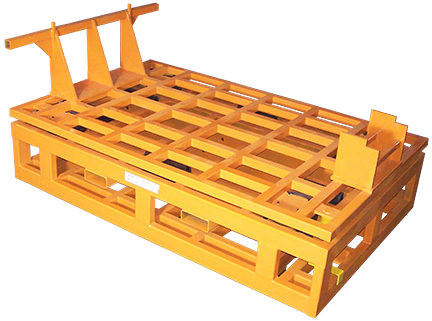 Toe line dolly for custom heavy equipment assembly. Configurable for multiple models. 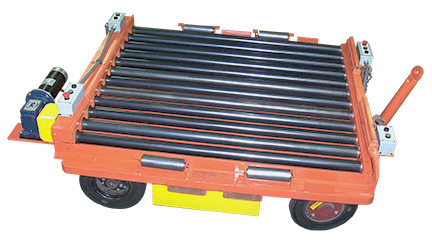 Assembly transportation of heavy loads. 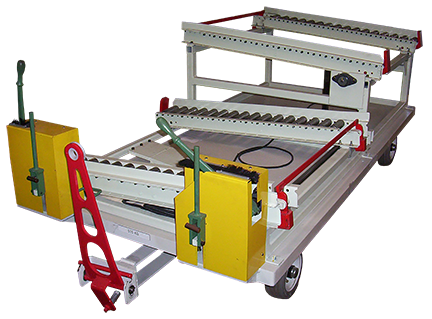 Moves auto power trains on the automotive assembly line. 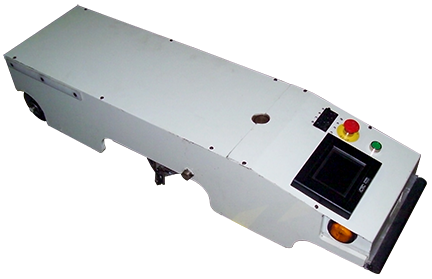 Mouse Unit for automotive dolly movement on automotive assembly lines. Delivers product to assembly line. Recirculates dunnage to store area. 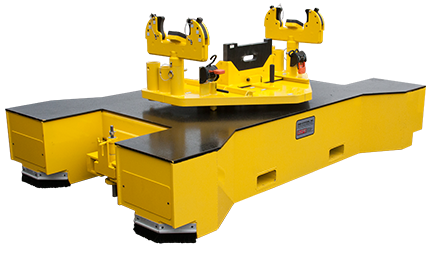 Assists an operator in transporting and positioning weld fixtures. 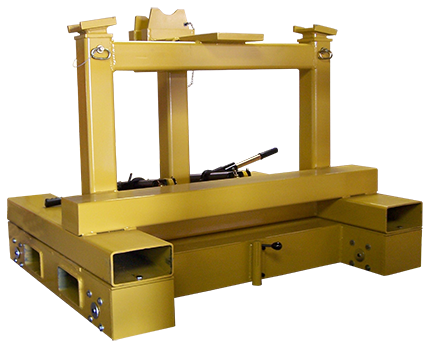 Used in production to build front axle assemblies for motor graders. 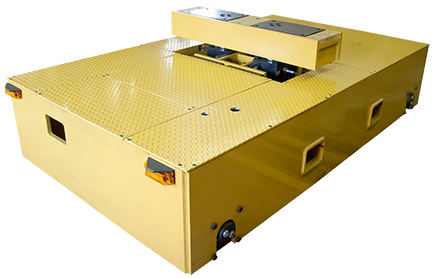 Load Movement device with a towing capacity of 500,000 Ibs on a heavy equipment assembly line. 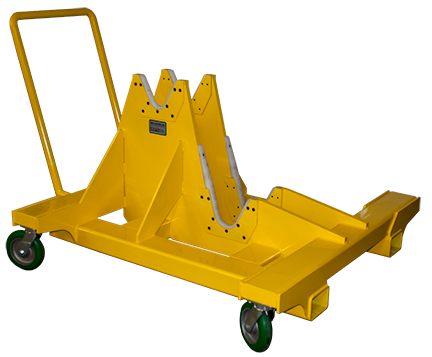 Safely helps an operator shuttle heavy equipment cabs for assembly along the assembly line. Tight quarter forklift for assisting operators in transporting V-16 engines along a heavy equipment assembly line. 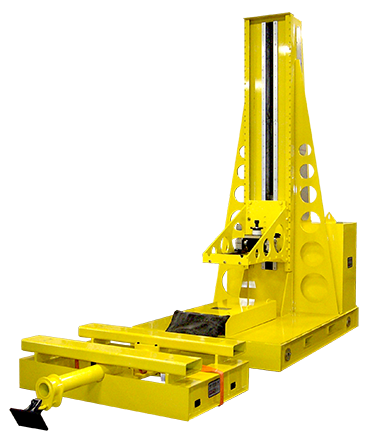 Designed to lift heavy mining truck frames without rigging. 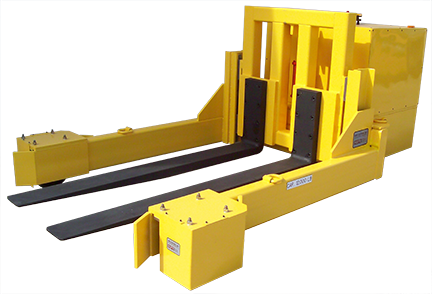 Lifts heavy equipment for painting access. 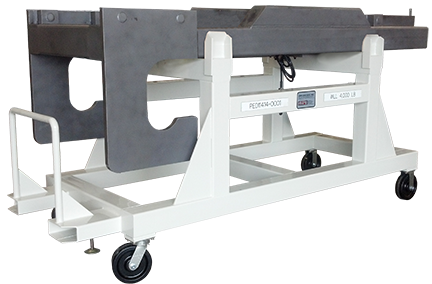 Assists the operator to tug or pull heavy loads on a rail-based assembly line. Assists an operator in transporting heavy equipment to the end of boom support on the assembly line.